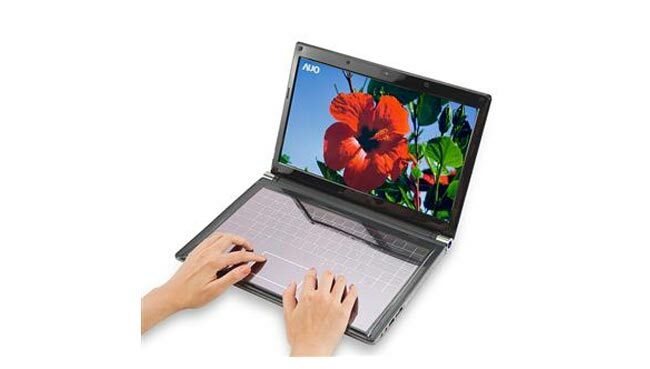 AUO well know for its LCD manufacturing skills has launched a new 14 inch solar powered touch keyboard notebook. The notebook is fitted with a specially designed solar panel measure just 2.1mm in thickness. The addition of the panel within the notebook helps cut the system power usage by up to 20%. The solar panel is built into both the keyboard and notebooks cover providing areas to drawing extra power from natural and artificial light sources even if the notebook is closed. AUO’s new creation will be showcased on November 10 at the upcoming FPD International 2010 during November 10-12 in Chiba, Japan.